SACRAMENTO, CA., May 29, 2008 - The California Air Resources Board is offering a $1,000 rebate towards the purchase of a Xebra electric car and truck from ZAP (OTCBB: ZAAP). Both the Xebra electric city car and pickup have passed a full battery of testing and approval requirements by the California Air Resources Board and have been officially approved for the $1,000 cash rebates. To receive a rebate, vehicles must be ARB qualified and pass a range and speed course as well as comply with all federal motor vehicle safety standards, and meet a minimum manufacturer warranty. "This program alone is enough incentive to stimulate Xebra sales to a whole new level," said ZAP CEO Steve Schneider. "Similar programs in electric car programs in Oregon have helped contribute to the sale of more Xebras. Being the 8th largest economy in the world, this program will be well received by our dealers and Californians." ZAP says right now many drivers are filling up their gas tank for about $60 dollars, but a Xebra can recharge for as little as 60 cents. Schneider noted that the rebate should cover over 30,000 miles of driving assuming electricity costs of three cents per mile. That could mean several years of not having to pay for fuel. Schneider says that ZAP has delivered over 700 units of the Xebra as of April. Surging gas prices have sparked an increase in orders from consumers and dealers. ZAP reported a backlog of $6.8 million in Xebra orders, more than sales for all of 2007. The program is part of $25 million in overall funding that came out of Assembly Bill 1811 -- authored by Speaker Fabian Nunez (D-Los Angeles) and passed in 2007 -- which promotes alternative fuel infrastructure and vehicles. The rebates are available for qualifying vehicles that are purchased until March 31, 2009, or until the funding of the grant runs out. The design for the Xebra is unique in the auto industry, an affordable all-electric vehicle for city-speed driving up to 40 MPH. Both the sedan and pickup have practical features; the sedan is a four-door with room for four and the truck has a dump bed that can transform into a flatbed. Both were designed in response to skyrocketing gas prices, and work with economical city commuting, small businesses, corporate and government fleets. SANTA ROSA, Calif. & DUBAI, United Arab Emirates--May 27 2008 --Electric car pioneer ZAP (OTCBB: ZAAP.OB) today named Mr. Eqbal Al Yousuf Chairman of the 13-year public Company. The effective date of his appointment will be June 2, the day of the next scheduled meeting for the board of directors. Mr. Eqbal Al Yousuf is President of Dubai's Al Yousuf Group. He was appointed as the President of Al Yousuf Group in 2005. The Al Yousuf Group is a company that over the past 55 years has grown into a leading business conglomerate with operations ranging from Motor Vehicles, Boat Manufacturing, Auto Rental, Real Estate Development, Home Electrical Appliances, Computer Operating Systems, Electronics, Transportation and more. The Al Yousuf Group has proved to be one of the most reputed business groups in the UAE and is now working to become ISO certified in accordance with international standards of quality. Chairman Emeritus and founder Gary Starr will continue his role with the Company and will remain on its board of directors. Starr co-founded the Company in 1994 and has been instrumental in its overall business development, R&D and product development. "I feel the timing is right for this," said Starr, a 34-year veteran in electric transportation. "Mr. Eqbal told me that the most important technologies to invest in for the future were electric transportation and water purification. His vision and business experience are welcome just as ZAP begins its next growth phase." Mr. Al Yousuf has been taking a greater interest in ZAP over the past year. In November, the Al Yousuf Group purchased US$5 million worth of ZAP shares. In December, he also joined ZAP's Board of Directors. "My staff and I have researched the EV industry and have concluded that ZAP is one of the only pure-play public companies with viable electric vehicles in the marketplace at a time of record gas prices," said Mr. Al Yousuf. "I intend to use all my relationships and resources to ensure the Company will be successful and grow." "Mr. Al Yousuf is a strong believer in alternative energy and conservation and really wants to make the world a better place," said ZAP CEO Steve Schneider. "He is taking a much stronger interest in the direction of the Company to ensure its ability to deliver vehicles on a global basis. With his relationships throughout the world, Mr. Al Yousuf believes he can make this dream become a reality." Mr. Al Yousuf is actively involved with numerous social and environmental causes, both at a personal and business level. Mr. Al Yousuf has two Bachelors Degree, one in Computer Science and the other in Economics. He graduated from the University of Minnesota in May 1983. After he graduated he joined his father’s firm as Managing Director and in 1988 he was appointed as Deputy Chairman, Vice Chairman in 2001, and Chief Executive Officer in 2004. Eqbal Al Yousuf is married with four children and his interests include reading, travel and sea sports. The Al Yousuf Group is involved in a multitude of industries under various subsidiaries. Al Yousuf Group has 18 subsidiaries with branch offices in Abu Dhabi, Al Ain, Cairo, Fujairah, Jeddah, Ras Al Khaimah, Riyadh, and Sharjah, according to The Middle East information resource Zawya (http://zawya.com/cm/profile.cfm/cid489977/). Al-Yousuf Motors, a member of the Al-Yousuf family, is one of the leading distributors of automobiles and automotive related equipment in the Middle East. The Al Yousuf Group has developed partnerships with many of the world's renowned brand names in Asia, Europe and the USA. A number of these ventures have grown into long-term business relationships. Al Yousuf Motors' portfolio includes Daihatsu vehicles, Daewoo buses, Suzuki motorcycles and outboard engines, Yamaha motorcycles, outboard and marine engines, water vehicles, generators, boats etc. IRVINE, Calif., May 27 2008 -- Quantum Fuel Systems Technologies Worldwide, Inc. (Nasdaq: QTWW) today announced that its German solar partner, Asola Advanced and Automotive Solar Systems GmbH, has won a $17 million contract from Sunworx GmbH, for the supply of high-efficiency silicon photovoltaic solar modules. Sunworx, which is one of the leading solar system suppliers in Germany, will take delivery of these modules in 2008. "Sunworx is notable for their innovative solutions, consistent growth and long-term business success. Asola is pleased to partner with this dynamic company, as they share our passion for the highest quality and reliability," said Asola's founder and CEO, Reinhard Wecker. Quantum and Asola have recently announced tripling of solar module production capacity in Germany, by fall 2008. Quantum holds a 25% stake in Asola, and is in discussions towards an expanded partnership. Asola and Quantum have entered into a long-term supply agreement with Ersol Solar Energy AG for the procurement of 155 MW of high-efficiency silicon photovoltaic solar cells, starting in 2008. The Ersol agreement and additional supply contracts with other leading suppliers such as MOTECH and Sunergy guarantee a steady supply of solar cells to Quantum and Asola, thereby avoiding any potential future disruptions due to silicon shortages, as have been recently experienced by the solar cell industry. Resulting sales from these supply agreements are anticipated to generate in excess of US $600 million for Asola and Quantum. "Demand for peak power is growing at twice the rate as the overall electricity market," commented Alan P. Niedzwiecki, President and CEO of Quantum. "Solar systems are ideally suited to meet local peak power demands, and are increasingly favored by major utility companies to meet their renewable energy portfolio requirements. We believe that Quantum and Asola are well-positioned to meet this demand in Europe as well as to capitalize on the opportunities in California and the rest of North America." Quantum Fuel Systems Technologies Worldwide, Inc., a fully integrated alternative energy company, is a leader in the development and production of advanced propulsion systems, energy storage technologies, and alternative fuel vehicles. Quantum's portfolio of technologies includes advanced lithium-ion battery systems, electronic controls, hybrid electric drive systems, hydrogen storage and metering systems and alternative fuel technologies that enable fuel efficient, low emission hybrid, plug-in hybrid electric, fuel cell, and alternative fuel vehicles. Quantum's powertrain engineering, system integration, vehicle manufacturing, and assembly capabilities provide fast-to- market solutions to support the production of hybrid and plug-in hybrid, hydrogen-powered hybrid, fuel cell, alternative fuel, and specialty vehicles, as well as modular, transportable hydrogen refueling stations. Quantum's customer base includes automotive OEMs, fleets, aerospace industry, military and other government entities, and other strategic alliance partners. Quantum has co-founded a "green American car company" called Fisker Automotive, Inc. Fisker Automotive will offer a range of environmentally friendly premium cars, incorporating Quantum's proprietary high-performance plug-in-hybrid electric vehicle architecture, known as "Q-Drive," into a unique chassis that will enable optimizing the performance and vehicle dynamics. "Fisker Karma" launched at the Detroit International Auto Show in January, 2008, incorporates an advanced solar-photovoltaic roof designed by Asola. More information is available at http://www.fiskerautomotive.com. More information can be found about Quantum's products and services at http://www.qtww.com. Asola Advanced and Automotive Solar Systems GmbH produces and markets high-quality silicon-based photovoltaic modules that comprise 4, 5, 6, or 6+ mono-crystalline or polycrystalline silicon cells. Asola's technologies include high output and high efficiency flat modules for residential and industrial applications, specialized spherical modules for automotive applications and modules for various thin film technologies. More information can be found in http://www.asola-power.com. Except for historical information, the statements, expectations, and assumptions contained in the foregoing press release are forward-looking statements. Such forward-looking statements include, but are not limited to, the Company's expectations regarding expected future revenues and operating results; future opportunities for Asola and Quantum; Asola's ability to secure solar cells and fulfill orders in the future; and other statements about the future expectations, beliefs, goals, plans, or prospects expressed by management. Such statements are subject to a number of risks and uncertainties, and actual results could differ materially from those discussed in any forward-looking statement. Factors that could cause actual results to differ materially from such forward-looking statements include, among other factors, Asola's ability to expand production, the overall expansion of the solar industry, and general economic conditions. Reference should also be made to the risk factors set forth from time to time in the Company's SEC reports, including but not limited to those contained in the section entitled "Risk Factors" in the Company's Annual Report on Form 10-K for the fiscal year ended April 30, 2007. The Company does not undertake to update or revise any of its forward-looking statements even if experience or future changes show that the indicated results or events will not be realized. Oil Prices Up; Renewable Energy? An Internet-based investor news and research portal, www.RenewableEnergyStocks.com, on May 21 presented a sector close-up on recent developments in renewable energy stocks as oil continues to set record highs. • Geothermal stock, Essential Innovations Technology Corp. announced it has successfully closed and funded a financing in the form of a convertible secured note in the amount of $1,750,000. • Rotoblock Inc. recently announced it will acquire controlling interest in Hikom Gottell Corp.for $25 million. The US-China venture intends to develop and manufacture small engines, air-conditioning systems, and other consumer and industrial equipment. • XsunX, Inc. a solar technology company, announced it has signed an agreement with Praxair, Inc.for the supply of bulk industrial gases for its new multi-megawatt thin film photovoltaic solar manufacturing facility near Portland, Ore.
• Electric vehicle pioneer ZAP announced that Dubai's Al Yousuf Group has completed a transaction to purchase a convertible debt that was part of a private placement registration from October 2007.ZAP closed trading at $1.18 on 2,532,983 shares. • Ascent Solar Technologies, Inc. announced that the underwriters of its public offering exercised their over-allotment option to purchase an additional 570,000 shares of its common stock at $14.00 per share. • The Chicago Board Options Exchange launched trading in options on Market Vectors-Solar Energy ETF, an exchange-traded fund. • Solarfun Power Holdings, a manufacturer of silicon ingots and photovoltaic (PV) cells and modules in China, reported its unaudited financial results for the first quarter ended March 31, 2008 with Net revenue of $171 million, an increase of 529 percent from the fourth quarter of 2007. Solarfun traded 30,416,457 shares and was up 4.99 percent. • Publicly traded Suzlon Energy Limited, based in Mumbai, India, the world's fifth leading wind turbine maker with 10.5 percent of global market share, announced results for the financial year ended March 31, 2008, reporting 71 percent growth in revenues. • Fuel Tech, Inc. announced receipt of a $4.6 million contract for the supply and installation of NOxOUT® Selective Non-Catalytic Reduction technology on two newly constructed 600 megawatt coal-fired boilers in the People's Republic of China. MARLBORO, Mass.--May 22 2008 --Evergreen Solar, Inc. (Nasdaq: ESLR), a manufacturer of solar power panels with its proprietary, low-cost String Ribbon(TM) wafer technology, announced it has signed two new long-term sales contracts. Yesterday, Evergreen Solar and German-based Ralos Vertriebs GmbH signed an agreement valued at approximately $750 million for panel deliveries beginning in 2008 and extending through 2013. Combined with another agreement signed last week with a United States-based installer, Evergreen has new contractual backlog of approximately $1 billion. The solar panels for these two contracts will be manufactured at the company’s Devens, Massachusetts facility, which will begin panel production in July, and represent approximately 35 percent of the expected 160MW of annual production capacity at Devens through 2013. In addition to these two new contracts, Evergreen Solar has six other customer contracts with a current total backlog of approximately $850 million, which will primarily be supplied by EverQ, its German-based joint venture. The “Ralos – Group“ is one of Europe’s leading companies in the field of photovoltaics. With subsidiaries in Germany, Spain, Italy, Austria, United Kingdom and Portugal, Ralos is “helping Europe go Solar”. It is their vision, that photovoltaics will play a significant role in meeting the needs of a sustainable energy market in the future. Through strategic alliances and continuous internal growth, Ralos is well placed to maintain its outstanding market position. The Ralos – Group is particularly active in the field of large scale solar power plants and they are committed to increase the share of energy production through renewable energy. With its many years of experience and focus on economically optimized and high quality solutions, the Ralos – Group is a proven partner bringing increased value to project investors. Evergreen Solar, Inc. develops, manufactures and markets solar power products using proprietary, low-cost manufacturing technologies. The Company's patented wafer technology, known as String Ribbon, uses significantly less polysilicon than conventional processes. Evergreen's products provide reliable and environmentally clean electric power for residential and commercial applications globally. For more information about the Company, please visit www.evergreensolar.com. Evergreen Solar(R) is a registered trademark and String Ribbon(TM) is a trademark of Evergreen Solar, Inc. This press release contains forward-looking statements within the meaning of federal securities laws. Evergreen Solar cautions you that any statements contained in this press release that are not strictly historical statements constitute forward-looking statements. Such forward-looking statements include, but are not limited to, those related to: the start-up and future production capacity of the company’s Devens manufacturing facility; the company’s ability to protect the intellectual property incorporated in String Ribbon and other proprietary technologies; the company’s ability to enter into additional long-term customer agreements; and the ultimate value of the customer contracts given changing market dynamics and governmental subsidy and incentive programs, currency fluctuations and related contractual pricing parameters. These statements are neither promises nor guarantees, and involve risks and uncertainties that could cause actual results to differ materially from such forward-looking statements. Such risks and uncertainties are identified in the company's filings with the Securities and Exchange Commission - including the company's Annual and Quarterly Reports on Forms 10-K and 10-Q filed with the SEC (copies of which may be obtained at the SEC's website at: http://www.sec.gov) - could impact the forward-looking statements contained in this press release. Readers should not place undue reliance on any such forward-looking statements, which speak only as of the date they are made. Evergreen Solar disclaims any obligation to publicly update or revise any such statements to reflect any change in company expectations, or in events, conditions or circumstances on which any such statements may be based, or that may affect the likelihood that actual results will differ from those set forth in the forward-looking statements. POINT ROBERTS, WA and DELTA, BC--May 22 , 2008 - www.RenewableEnergyStocks.com, a leading investor news and research portal for the renewable energy sector within Investorideas.com, presents a sector close-up on recent news and developments in renewable energy stocks as oil continues to set record highs. Geothermal stock, Essential Innovations Technology Corp., (OTCBB: ESIV; FRANKFURT: E6S) announced it has successfully closed and funded a financing in the form of a convertible secured note in the amount of $1,750,000 USD. Rotoblock Inc. (OTCBB: ROTB) recently announced it will acquire controlling interest in Hikom Gottell Corporation for US $25 Million (US $25,000,000). The US-China venture intends to develop and manufacture small engines, air-conditioning systems and other consumer and industrial equipment. XsunX, Inc. (OTCBB: XSNX ), a solar technology company, announced today that it has signed an agreement with Praxair, Inc. (Market, News ) for the supply of bulk industrial gases for its new multi-megawatt thin film photovoltaic (TFPV) solar manufacturing facility near Portland, Oregon. Electric vehicle pioneer ZAP (OTC BB:ZAAP) announced that Dubai's Al Yousuf Group has completed a transaction to purchase a convertible debt that was part of a private placement registration from October 2007.ZAP closed trading at $1.18 on 2,532,983 shares. Ascent Solar Technologies, Inc. (Market, News) announced that the underwriters of its public offering exercised their over-allotment option to purchase an additional 570,000 shares of its common stock at $14.00 per share. The Chicago Board Options Exchange launched trading in options on Market Vectors-Solar Energy ETF (Market, News ), an exchange-traded fund. Solarfun Power Holdings (Market, News), a manufacturer of silicon ingots and photovoltaic (PV) cells and modules in China, reported its unaudited financial results for the first quarter ended March 31, 2008 with Net revenue of RMB 1.20 billion (US$ 171.0 million), an increase of 529% from the fourth quarter of 2007. Solarfun traded 30,416,457 shares and was up 4.99%. Publicly traded, Suzlon Energy Limited, based in Mumbai, India the world’s fifth leading wind turbine maker with 10.5% of global market share, announced results for the financial year ended March 31, 2008, reporting 71% growth in revenues. Fuel Tech, Inc. (Market, News) announced receipt of a $4.6 million contract for the supply and installation of NOxOUT® Selective Non-Catalytic Reduction (SNCR) technology on two newly constructed 600 megawatt coal-fired boilers in the People’s Republic of China (PRC). SunPower Corporation, (Market, News ) a manufacturer of high-efficiency solar cells, solar panels, and solar systems, announced it has completed design and construction of a new 1.4-megawatt solar electric power plant project in Hampyeong, South Korea. For investors following solar stocks, the RenewableEnergyStocks.com website provides a comprehensive list of renewable energy and green stocks. Rotoblock Corporation (OTCBB: ROTB) is focused on the development and manufacturing of small engines and other energy-efficient and environmental equipment in China for distribution worldwide. Electric car pioneer, ZAP (OTCBB: ZAAP) has been a leader in advanced transportation technologies since 1994, delivering over 100,000 vehicles to consumers in more than 75 countries. Disclaimer: Our sites do not make recommendations. Nothing on our sites should be construed as an offer or solicitation to buy or sell products or securities. We attempt to research thoroughly, but we offer no guarantees as to the accuracy of information presented. All Information relating to featured companies is sourced from public documents and/ or the company and is not the opinion of our web sites. For disclosure purposes, the site is currently compensated by featured showcase companies, news submissions and online advertising. Please read the disclaimer and specific compensation disclosure for each company at http://www.investorideas.com/About/Disclaimer.asp. SANTA ROSA, Calif. & NANJING, China---Rotoblock Inc. (OTCBB: ROTB.OB) has agreed to acquire controlling interest in Hikom Gottell Corporation for US $25 Million (US $25,000,000). The US-China venture intends to develop and manufacture small engines, air-conditioning systems and other consumer and industrial equipment.Rotoblock signed a term sheet to acquire 51 percent majority interest in Hikom Gottell Corporation, a manufacturing company based in Nanjing City of the Jiangsu Province in Mainland China. Hikom Gottell employs about 250 workers primarily involved in designing and manufacturing of commercial air-conditioning systems for automotive, building, and environmental applications. These products are distributed throughout China. Rotoblock's offer of US $25 Million would be in cash and stock options. The final purchase price is subject to an independent audit, which will be carried out during the acquisition proceedings.Rotoblock has agreed to purchase the hard assets of Hikom Gottell's manufacturing facilities in Nanjing as well as the name Hikom Gottell and its distribution network. The acquisition would include Hikom Gottell's 10-acre manufacturing complex, land, factories, manufacturing equipment, testing facilities, and delivery trucks. "This opens a whole new horizon for Rotoblock's business plans," said CEO Mr. Chin Chih Liu. "Not only would we have a research and manufacturing facility in China, we will also have the financial backing to take the Company to new heights. At the same time, Rotoblock can help diversify the product lines being manufactured by Hikom Gottell and expand their market internationally." About Rotoblock Corporation -- Rotoblock is focused on the development and manufacturing of small engines and other energy-efficient and environmental equipment in China for distribution worldwide. The Company was incorporated in Nevada and is headquartered in Santa Rosa, California. Rotoblock has full rights to the patents of the Oscillating Piston Engine and believes the OPE technology has useful applications in an endless number of areas where its powerful, lightweight, efficient design are in ever-increasing demand. Visit Rotoblock's corporate website for details about the company, technology, and regulatory filings. The address is: http://www.rotoblock.com. Safe Harbour For Forward-Looking Statements Except for statements of historical fact, the information presented herein constitutes forward-looking statements within the meaning of the Private Securities Litigation Reform Act of 1995. Such forward-looking statements involve known and unknown risks, uncertainties and other factors which may cause the actual results, performance or achievements of the company to be materially different from any future results, performance or achievements expressed or implied by such forward-looking statements. Such factors include general economic and business conditions, the ability to acquire and develop specific projects, the ability to fund operations and changes in consumer and business consumption habits and other factors over which Rotoblock Corporation has little or no control. SANTA ROSA, CA., May 19, 2008 - Electric vehicle pioneer ZAP (OTCBB: ZAAP) announced today that Dubai's Al Yousuf Group has completed a transaction to purchase a convertible debt that was part of a private placement registration from October 2007. As part of the transaction, The Al Yousuf Group has purchased the convertible debt for $475,000. "We are continually grateful for the commitment and support that Mr. Eqbal Al Yousuf has given ZAP," said ZAP CEO Steve Schneider. "The purchase of this convertible debt will help ZAP's business plans." The United Arab Emirates manufacturing and distribution company purchased $5 million ZAP shares in November. In December, Mr. Eqbal Al Yousuf, President, joined ZAP's Board of Directors. ZAP has been a leader in advanced transportation technologies since 1994, delivering over 100,000 vehicles to consumers in more than 75 countries. At the forefront of fuel-efficient transportation with new technologies including energy efficient gas systems, hydrogen, electric, fuel cell, ethanol, hybrid and other innovative power systems, ZAP has a joint venture called Detroit Electric to manufacture electric and hybrid vehicles with Youngman Automotive Group, one of China's leading manufacturers of buses and trucks. Detroit Electric is developing a freeway capable electric vehicle called the ZAP Alias in collaboration with Lotus Engineering. ZAP is also developing a new generation of vehicles using advanced nanotech batteries with Advanced Battery Technologies. The Company recently announced a strategic partnership with Dubai-based Al Yousuf Group to expand its international vehicle distribution. ZAP also makes an innovative, new portable energy technology that manages power for mobile electronics from cell phones to laptops. For product, dealer and investor information, visit http://www.zapworld.com. 07/05/2008Royal Dutch Shell Plc supports the EU commitment to demonstrate Carbon Capture and Storage (CCS) technology in 12 large-scale plants by 2015. Early demonstration is key to bring environmentally safe CCS to commercial deployment from 2020. Shell welcomes the draft CCS Directive which provides for a sound regulatory framework for the geological storage of CO2. But in its initial stages of implementation a transitional funding is crucial to accelerate CCS deployment which is key to achieve CO2 emission reduction targets by 2020. Shell believes that government policies adopted in Europe in the next five years could help shape the world’s energy landscape for a half-century to come. Shell has estimated that a seven year delay in the world’s known CCS projects means 90-100 billion tones of avoidable CO2 emissions being released into the atmosphere, or a 10 ppm increase in long-term CO2 stabilization levels. SAN FRANCISCO, May 6 2008 -- Venture capital investments in cleantech companies continued to show robust growth in the first quarter of 2008, according to an Ernst & Young report based on data from Dow Jones VentureOne. Capital invested grew by 18% to $571.6 million in Q1 2008 compared to $483.9 million for the same period in 2007, while the number of deals declined by 11% to 34. This growth in cleantech investment bucks the trend of overall US venture capital investment in Q1'08, which declined by 7% to $6.5 billion. Three cleantech industry groups accounted for the majority of the capital invested in the quarter. The Alternative Fuels group was the largest recipient of capital with $178 million invested-31% of the quarterly industry total. Energy/Electricity Generation group's investments represented 26% of the cleantech industry and totaled $148.3 million. Energy Efficiency group deals accounted for 20% of investment, netting $116.4 million for the quarter. Cleantech investing also suggested that the industry is maturing as deal volume shifted from early stage financings to later stage investments this quarter. Early stage deals, largely seed and first round investments, accounted for 37% of cleantech financings in Q1 '08, down from 51% in Q1 2007, but represents a consistent percentage of the total venture capital industry investments directed toward early stage enterprises. Conversely, later stage deals accounted for 43% of financing rounds, up from 24% in Q1 '07, reflecting the progress of technology development in existing cleantech companies. The Energy Efficiency group contained two of the fastest growing segments this quarter. Year-on-year, capital invested in Power and Efficiency Management Services increased 454% to $66.5 million. The Efficiency Products segment grew by 148% to $49.5 million. BridgeLux, a provider of energy saving power-LED chips based in Sunnyvale, CA, raised $40 million in the largest Energy Efficiency deal of the quarter. Investments in the Solar segment, part of the Energy/Electricity Generation group, also grew by 136% over the last year to $132.4 million. A key deal in the solar category was Infinia, a concentrated solar company based in Kenniwick, WA that raised a $57 million round during the quarter. Reports of technology development and an increasingly supportive regulatory environment are attracting investor attention to this segment. For example, in 2007 four more states instituted mandatory renewable portfolio standards (RPS), bringing the total to 25 states and the District of Columbia accounting for 46% of national retail electricity sales, according to Lawrence Berkeley National Laboratories. "While solar and biofuels investments continue to grow, we're observing increased investments in efficiency-related technologies as VCs balance their renewable energy portfolios with companies that have a shorter prospective time to exit," said Joseph Muscat, Americas Director of Cleantech and Venture Capital, Ernst & Young LLP. 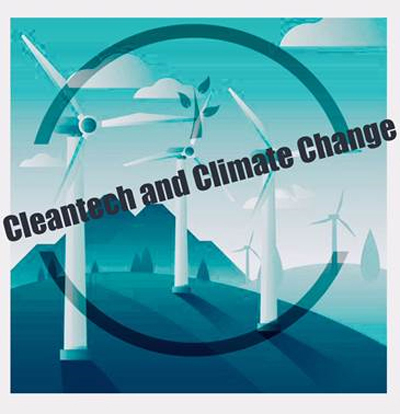 "Efficiency technologies are less capital intensive than renewables, which enable more venture capitalists to participate in the cleantech industry," Muscat continued. -- The global market for biofuels, solar technologies, new wind installations and fuel cells is expected to grow from $77.3 billion in 2007 to $254.5 billion by 2017, projects CleanEdge, a leading research and publishing firm. According to Cambridge Energy Research Associates, the global response to climate change could result in $7 trillion in total clean energy investments by 2030. -- Public company investors have been supportive of cleantech companies, indicating receptivity to eventual public market exits for venture backed cleantech companies. The WilderHill Clean Energy Index (ECO) has realized a 102% cumulative return since 2002, outperforming the broader Russell 3000 index by 32%; from Q1'07 to Q1'08, the WilderHill outpaced the Russell 2000 by 9%. -- Government policy and regulation is also increasingly supportive. The recently passed US Energy Independence and Security Act of 2007 sets a mandatory Renewable Fuel Standard (RFS) requiring fuel producers to use at least 36 billion gallons of biofuel in 2022 and implements a range of energy efficiency improvement measures. "Cleantech is enabling the business response to climate change," said Muscat. "The fundamental challenges that corporations face today related to carbon emissions, energy costs and resource scarcity will continue to provide opportunities for innovative cleantech solutions." Clean technology encompasses a diverse range of innovative products and services that optimize the use of natural resources or reduce the negative environmental impact of their use while creating value by lowering costs, improving efficiency, or providing superior performance. Ernst & Young's worldwide Strategic Growth Markets Network is dedicated to serving the changing needs of rapid-growth companies. For more than 30 years, we've helped many of the world's most dynamic and ambitious companies grow into market leaders. Whether working with international mid-cap companies or early stage venture-backed businesses, our professionals draw upon their extensive experience, insight and global resources to help your business achieve its potential. It's how Ernst & Young makes a difference. a leading investor news and research portal for the renewable energy sector within www.Investorideas.com, presents a sector close-up on recent developments and trends in the solar industry and related solar stocks. Insight and commentary features: Canadian Solar Inc., Clear Skies Solar, Inc. (OTCBB: CSKH), XsunX Inc. (OTCBB: XSNX), J.Peter Lynch and Dr. Robert Wilder, CEO and Founder of The Wilderhill Clean Energy Index. Canadian Solar Inc. was up $6.68 (19.59%) on reported preliminary unaudited US GAAP financial information for the first quarter ended March 31, 2008. Net revenues for the quarter were $171.2 million (including $2.2 million of silicon material sales), compared to net revenues of $17.5 million for the first quarter of 2007 (including $2.8 million of silicon materials sales) and $127.5 million for the fourth quarter of 2007 (including $2.4 million of silicon materials sales). Net income for the quarter was $19.0 million, or $0.61 per diluted share, compared to a net loss of $3.9 million, or $0.14 per diluted share, for the first quarter of 2007 and net income of $5.9 million, or $0.21 per diluted share, for the fourth quarter of 2007. The Claymore/MAC Global Solar Energy ETF that tracks an index of 25 global solar companies was up $0.84 (3.16%) as of the end of trading. The Wilderhill Clean Energy Index was up $5.08 (2.30%) at the close May 13, 2008. Clear Skies Solar (OTCBB: CSKH) closed up 14.81 % at market close. Featured Showcase Solar Company: Clear Skies Solar, Inc. (OTC BB: CSKH) through its wholly owned subsidiary provides full-service renewable energy solutions to commercial, industrial, and agricultural clients across the country. More info can be found on the Investorideas.com Company Showcase, or the company website at www.clearskiesgroup.com. Featured Showcase Solar Company: XsunX Inc.(OTCBB: XSNX) is developing amorphous silicon thin film photovoltaic (TFPV) solar cell manufacturing processes to produce TFPV solar modules. More info can be found on the Investorideas.com Company Showcase, or the company website at http://www.xsunx.com/. Disclaimer: Our sites do not make recommendations. Nothing on our sites should be construed as an offer or solicitation to buy or sell products or securities. We attempt to research thoroughly, but we offer no guarantees as to the accuracy of information presented. All Information relating to featured companies is sourced from public documents and/ or the company and is not the opinion of our web sites. Disclosure: XsunX and Clear Skies Holdings compensate the website $5000 per month. JIANGSU, China, May 13 2008 -- Canadian Solar Inc.(Nasdaq: CSIQ) today reported its preliminary unaudited US GAAP financial information for the first quarter ended March 31, 2008. Net revenues for the quarter were $171.2 million (including $2.2 million of silicon material sales), compared to net revenues of $17.5 million for the first quarter of 2007 (including $2.8 million of silicon materials sales) and $127.5 million for the fourth quarter of 2007 (including $2.4 million of silicon materials sales). Net income for the quarter was $19.0 million, or $0.61 per diluted share, compared to a net loss of $3.9 million, or $0.14 per diluted share, for the first quarter of 2007 and net income of $5.9 million, or $0.21 per diluted share, for the fourth quarter of 2007. If share-based compensation expenses of $2.2 million were excluded, non-GAAP net income for the quarter would have been $21.2 million, or $0.65 per diluted share. Dr. Shawn Qu, Chairman and CEO of CSI, commented: "I am very pleased with our first quarter results and proud to say that our team has now achieved four consecutive quarters of revenue growth and profit margin improvement. Our impressive performance in the first quarter was due to a result of robust market demand for our products, strong pricing, effective management of foreign exchange exposure, strong operational execution of our flexible vertical integration business model, and our balanced supply strategy, which allowed us to increase our product delivery despite a general market shortage of silicon materials. In Q1, we significantly increased our internal solar cell production, which resulted in a positive impact on our bottom line. Our new Changshu solar module plant was completed on schedule during the quarter. This gave us the ability to quickly increase shipments in March following the severe weather conditions earlier in the year. Deliveries from most of our strategic suppliers are now generally on track." Bing Zhu, CFO of CSI, noted: "We delivered on our promise to improve our gross margins and we were able to increase diluted earnings per share by close to 200% compared with Q4 2007 due to our disciplined financial management and continued operational efficiency. The significant upside to our bottom line was mainly contributed by three factors -- strong pricing, the strong Euro vs. USD, and our internal cost cutting. Although the large foreign exchange gain is likely a one-time event, we believe that the other factors will remain positive, and will, therefore, help us maintain a similar level of profitability going forward." Note: Asian revenue included $2.2 million of silicon materials sales in the first quarter of 2008 and $2.4 million of silicon materials sales in the fourth quarter of 2007. We commenced commercial production of e-Modules, a cost-effective medium power solar module product using 100% upgraded metallurgical grade (UMG) silicon, in March. We converted one of our solar cell lines and dedicated it to UMG cells in early April and ramped up to full production shortly thereafter. We have produced approximately one MW of UMG cells over the past four weeks. We believe that we have so far achieved the technical and economic parameters which we preset for the ramp up phase. Delivery of e-Modules to our European and US customers started in early May. We believe that we are on track to achieve our prior estimate of shipping 30-40MW of e-Modules in 2008. Dr. Qu continued: "We also believe that we are on track to achieve our prior guidance of shipping 200 -220MW of regular solar modules in 2008, not including shipments of e-Modules, and to continue our record of quarter over quarter revenue growth. We intend to continue our long-term and proven supply chain strategy of combining internal solar wafer and cell production with direct purchasing from a select number of long-term strategic wafer and cell suppliers. We expect that many of the positive market trends that we witnessed in Q1 will continue for the rest of the year, and believe that the gross margin that we were able to achieve in Q1 bodes well for our ability to achieve our 13% - 15% gross margin target for the year." Net revenue for Q208 is expected to be in the range of $185 - $190 million, with non-GAAP net income, determined by excluding share based compensation expenses, expected to be in the range of $17 - $18 million. Shipments for Q208 are expected to be approximately 45MW, including some tolling business. Looking ahead to 2009, if all of our long-term supply contracts are fully implemented, we will have access to 200MW of regular polysilicon and wafers. Based on our strong position as a worldwide photovoltaic solar module supplier and the expansion plans of our strategic partners, we believe that we should be able to secure an additional 200MW of regular polysilicon and wafers, thereby enabling us to produce approximately 400MW of regular photovoltaic solar modules. In addition, we expect to produce 100 - 150MW of UMG silicon products in 2009. A conference call has been scheduled for 8:00 p.m. on Tuesday, May 13, 2008 (in Jiangsu). This will be 8:00 a.m. on Tuesday, May 13, 2008 in New York. During the call, time will be set-aside for analysts and interested investors to ask questions of senior executive officers of the Company. The call may be accessed by dialing: +1-800-688-0836 (domestic) or +1-617- 614-4072 (international). The passcode to access the call is: 98964967. A replay of the call will be available starting one hour after the call and continuing until 10:00 p.m. on Tuesday, May 20, 2008 (in Jiangsu) or 10:00 a.m. on Tuesday, May 10, 2008 (in New York) at http://www.csisolar.com and by telephone at 1-888-286-8010 (domestic) or +1-617-801-6888 (international). The passcode to access the replay is: 11545239. POINT ROBERTS, WA and DELTA, BC - May 13, 2008, www.RenewableEnergyStocks.com, a leading investor news and research portal for the renewable energy sector within Investorideas.com, presents an audio interview with renewable energy showcase company, Essential Innovations Technology Corp. Jason McDiarmid, President and CEO of Essential Innovations Technology, (OTCBB: ESIV, FRANKFURT: E6S) provides investors with a company history and background and discusses global opportunities for his Geothermal company in North America, Europe and China. Essential Innovations Technology Corp. is a Geoexchange Technology Company that provides solutions for residential, commercial and institutional applications as both a manufacturer of proprietary geothermal heat pump technology and as a Geoexchange energy service company. Mr. McDiarmid also discusses projects underway and in the pipeline including the recently announced Diamondview Estates residential project site in Westbank, B.C. and a Joint Venture with Optimira Energy Canada, Ltd that will enhance and build upon their current services. Investors are reminded to read the company’s Safe Harbor Statements and Forward-Looking Statements Policy on filings and press releases. Essential Innovations Technology Corp. (OTCBB: ESIV - FRANKFURT: E6S) provides cutting-edge Geoexchange solutions for residential, commercial and industrial applications as both a manufacturer of proprietary geothermal heat pump technology and as a Geoexchange energy service company. The Company was incorporated in April 2001, and it has four wholly owned subsidiaries located in British Columbia, Canada and in Hong Kong, SAR, and China. www.RenewableEnergyStocks.com® is one of several green investor portals within Investorideas.com and provides investors with stock news, exclusive articles and financial columnists, audio interviews, investor conferences, Blogs, and a directory of global stocks within the renewable energy, clean- tech sector. Disclaimer: Our sites do not make recommendations, but offer information portals to research news, articles, stock lists and recent research. Nothing on our sites should be construed as an offer or solicitation to buy or sell products or securities. We attempt to research thoroughly, but we offer no guarantees as to the accuracy of information presented. All Information relating to featured companies is sourced from public documents and/ or the company and is not the opinion of our web sites. This site is currently compensated by featured companies, news submissions and online advertising. Essential Innovations Technology compensates Investorideas.com as a showcase company with 375,000 144 shares for a 3 month period. SANTA ROSA, CA., May 12, 2008 - Record gas prices are driving more consumers to seek electric transportation, says industry pioneer ZAP (OTCBB: ZAAP). The Northern California Company reported that as of April 8, 2008 it had $6.8 million in backlog orders for the Xebra electric sedan and pickup from auto-dealer purchase contracts. The $6.8 million backlog in dealer purchase contracts surpasses ZAP's sales for all of 2007 and are based on a delivery schedule over a 12-month period. The backlog for ZAP's consumer products on the same date was $712,000, including sales for the Zapino and ZAPPY3 scooters, ATVs, Recharge-It-All battery systems and others. ZAP designed the Xebra as a simple alternative to the growing demand for electric cars. The vehicle is suitable for city-speed driving, commuting and fleet use, situations where electric vehicles can be more economical than gasoline cars. "As I researched more into the EV market I found that the ZAP Xebra was the only production electric vehicle available that could obtain such speeds and actually be driven on regular roads contrary to the governed LSV," writes electric car dealer Jonathan Ortiz of Foreign Affairs Auto in West Palm Beach, Florida. "I began to understand there are literally hundreds of ideal applications and usages that the XEBRA could fill." "My silly little ZAP truck gives me more satisfaction then any ICE I have ever owned, and I am a car buff," says electric vehicle dealer Sean Rarey of Grants Pass, Oregon. "I do not use gas unless I am going out-of-town. Honestly, I think the price of gas is contributing to the decline of our economy while big oil gets fatter and fatter off the profits." ZAP is working to create a dealer network that for its full-line of electric vehicles and future vehicles as they become available. Surging consumer demand has seen ZAP's number of dealers grow from about 20 automotive dealers in April 2007 to over 50 today. ZAP holds a monthly dealer training for the sales and service of the Xebra. The next dealer training is scheduled for May 30th with some dealers coming from as far away as New Zealand. ALISO VIEJO, Calif., May 12, 2008 - XsunX, Inc. (OTCBB: XSNX), a solar technology Company engaged in the build-out of its multi-megawatt thin film photovoltaic (TFPV) solar manufacturing facilities, announced today that the sublease of its new manufacturing facilities has been approved by the primary landlord, and that demolition work to remove unnecessary and obstructive infrastructure commenced the week of May 5th. This demolition work is required to prepare the facility for XsunX improvements specific to its TFPV manufacturing processes. The Company has scheduled demolition to be completed in July with facility improvements scheduled to begin immediately thereafter. The existing 90,000 square foot building, located in the City of Wood Village just east of Portland, Oregon, provides XsunX with extensive industrial manufacturing infrastructure including multiple clean air management systems, emergency power generation system, over 200 tons of water chilling capabilities, water purification and vacuum systems for substrate cleaning, and extensive air support systems to manage heat produced from TFPV manufacturing operations. XsunX has agreed to purchase these systems for approximately $112,000 along with a host of other industrial apparatus including support equipment such as office, networking, and telecommunications infrastructure. "We are very pleased with the terms of our equipment purchase agreement and the capabilities of these relatively new systems." commented Mr. Joe Grimes, COO for XsunX. "We are continuing to benefit both financially and logistically from the selection of this manufacturing site. We have been busy moving our plans forward and in April, we completed architectural drawings outlining demolition requirements which received city building approval the week of May 5th. In conjunction, we are preparing our facility improvement plans which are scheduled to be completed by mid June. In an effort to achieve our growth plans, we have begun hiring staff in Oregon to supervise our facility renovations and to meet our staffing needs," concluded Grimes. XsunX has hired an on-site Facilities Manager who is intimately familiar with the existing facilities and former operations. The Facility Manager will be an invaluable resource in supervising the preparation and subsequent operation of the facility for XsunX's TFPV manufacturing operations. The Company has also hired an on-site Human Resource Specialist to prepare and initiate hiring plans for adding a large number of employees to the XsunX team. The Company has also begun working with local community colleges to establish training programs and plans to announce on-site job fairs as work progresses. For more information about XsunX, please visit www.XsunX.com. NEW YORK, Clear Skies Solar, Inc. (OTCBB: CSKH), a leading provider of renewable energy solutions, today announced that it will provide solar power to a Riverside County, CA, dairy farm, Scott Brothers Dairy Farms. Under the $1,700,000 agreement, Clear Skies Solar will provide approximately 240 kilowatts of solar power to the dairy farm, helping it to offset its carbon footprint, reduce energy usage and save on utility costs. Construction, anticipated to commence this summer, will consist of two systems. The first will include construction of a 63.86kW installation and the second will install an additional 74.93kWs. Clear Skies Solar will install the solar panels on shade structures and an existing barn on Scott Brothers’ San Jacinto, CA-based dairy farm. Clear Skies Solar is currently conducting engineering and working closely with Scott Brothers Dairy Farms to navigate the various financing options and rebates available to them to assist Scott Brothers in making its farm more environmentally conscious. Clear Skies Solar offers a proven renewable energy solution for the agricultural industry at a time when high energy prices and consumption are negatively affecting business. The agricultural industry is a solid market prospect that Clear Skies Solar will continue to service with expert alternative energy consultation and installation. Clear Skies Solar, Inc. (CSS) through its wholly owned subsidiary provides full-service renewable energy solutions to commercial, industrial, and agricultural clients across the country. CSS was incorporated in 2003 and launched formal operations in 2005. During that time period, CSS developed its proprietary systems, obtained licenses and certifications, and acquired technologies that could maximize the impact of its construction expertise on the renewable energy sector. CSS has become one of the premier solar electric installation companies in the country. For more information about CSS, visit www.ClearSkiesSolar.com. For more than 95 years, Scott Brothers Dairy has been producing and distributing high quality dairy products including Milk, Yogurt, Sour Cream, Ice Cream, Soft Serve mixes and Soft Frozen Yogurt mixes. Non-dairy products we manufacture include Orange Juice, Fruit Punch, and other fruit drinks. Headed by Stan Scott and his two sons Brad and Bruce, Scott Brothers also provides and distributes various cheeses, meats, salads, dressings, and ice cream. Scott Brothers’ is committed to providing it’s customers with exceptional products and service and is able to customize and co-pack many products to meet every customer’s needs. For more information visit www.scottbrothers.com. Statements in this press release that are not statements of historical or current fact constitute “forward-looking statements.” Such forward-looking statements involve known and unknown risks, uncertainties and other unknown factors that could cause the Company’s actual operating results to be materially different from any historical results or from any future results expressed or implied by such forward-looking statements. In addition to statements that explicitly describe these risks and uncertainties, readers are urged to consider statements that contain terms such as “believes,” “belief,” “expects,” “expect,” “intends,” “intend,” “anticipate,” “anticipates,” “plans,” “plan,” to be uncertain and forward-looking. The forward-looking statements contained herein are also subject generally to other risks and uncertainties that are described from time to time in the Company’s filings with Securities and Exchange Commission. Clear Skies Holdings, Inc. is a featured Company on Investorideas.com Green portals. Source: Clear Skies Holdings, Inc.